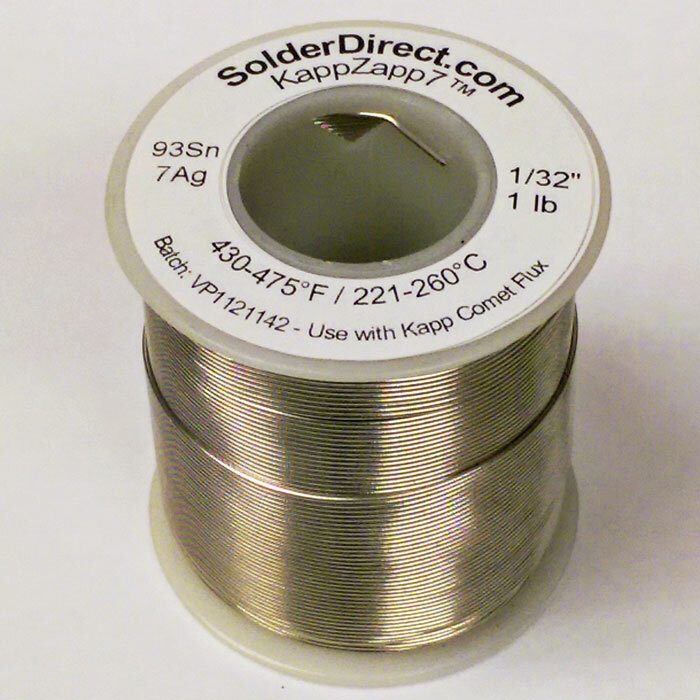 KappZapp™ Tin-Silver solders produce strong, ductile joints on Copper, Brass, and Stainless Steel. 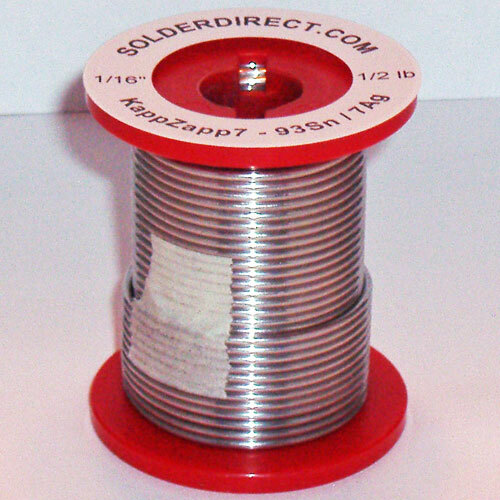 The resulting joints have a high tolerance to vibration and stress, with tensile strengths to 33,000 psi on Stainless Steel. 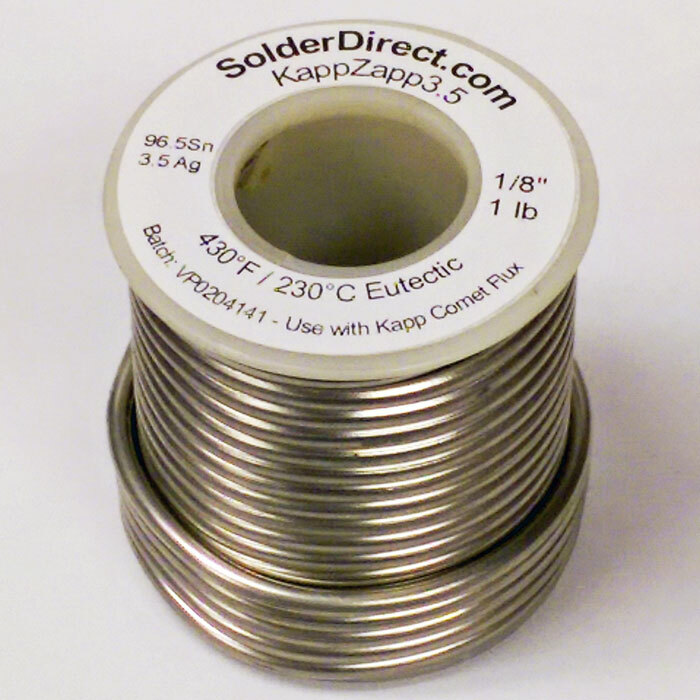 The entire line of KappZapp™ solders is NSF® certified Lead-Free for potable water and plumbing applications. 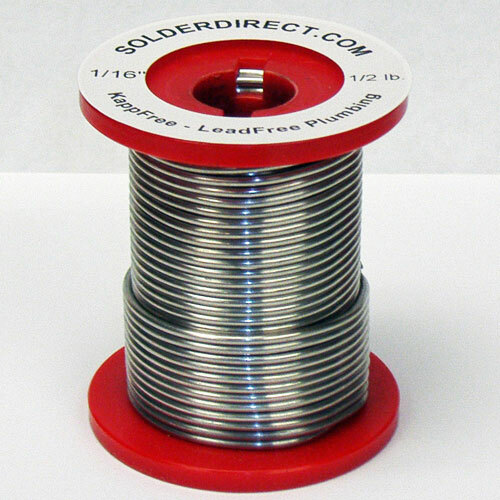 KappFree™ solders are NSF compliant Lead/Cadmium-free formulations designed specifically to replace Lead solders in Copper and Stainless Steel plumbing as well as in electrical/electronic applications. 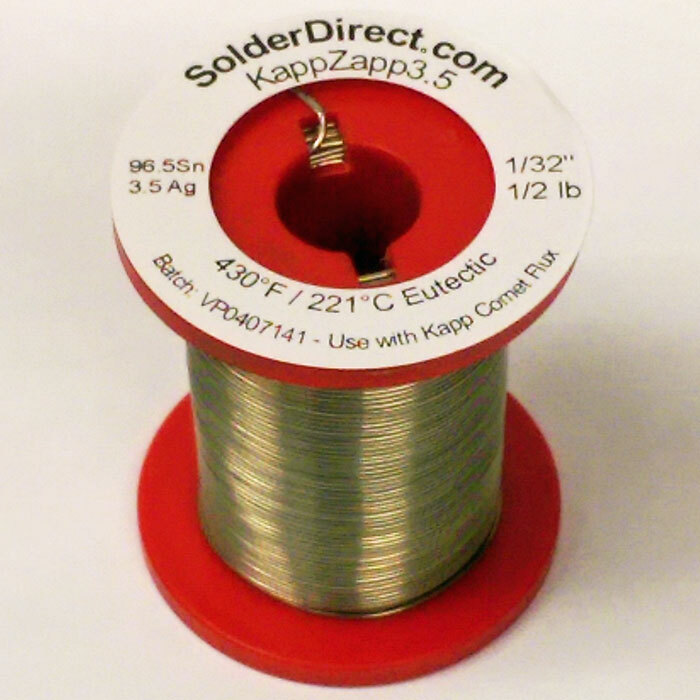 With less Silver, these lower cost solders provide less joint strength, vibration resistance, and thermal cycle fatigue resistance compared to KappZapp™ solders. 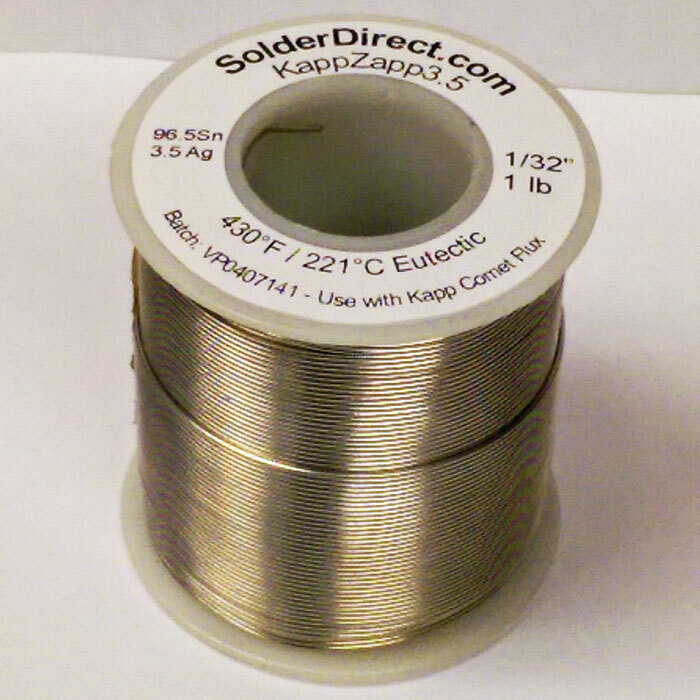 KappSAC305™ 96.5%Tin-3.0%Silver-0.5%Copper solder is a standard Lead-free formulation designed for circuit board and electronic soldering. 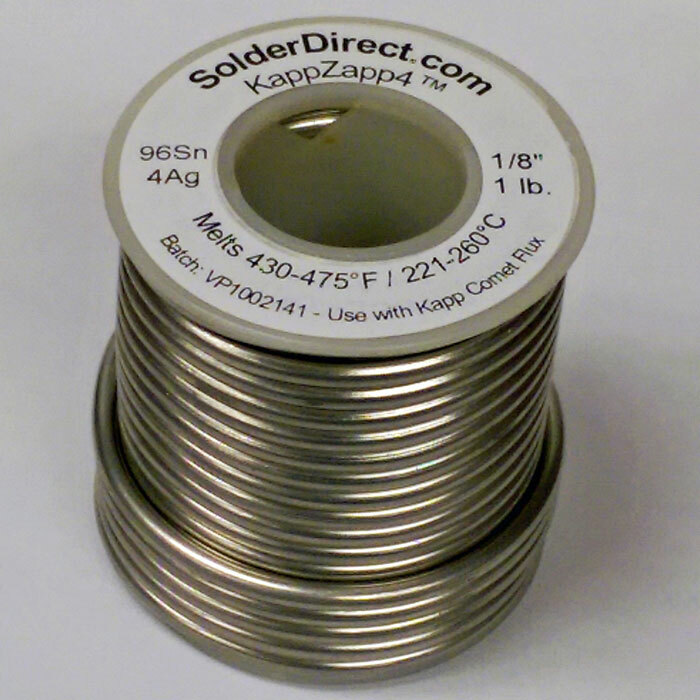 Kapp Alloy manufactures all of the various SAC alloys of Tin-Silver-Copper. 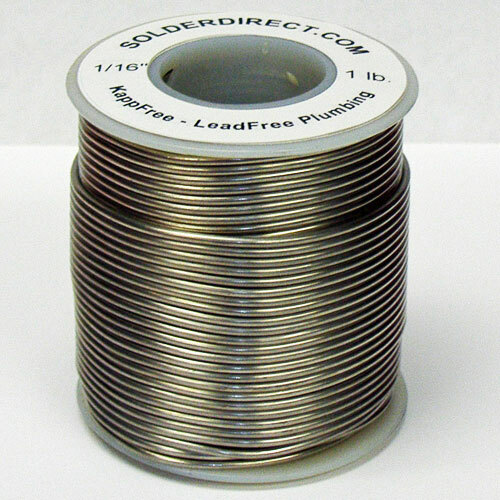 Call for a quotation and availability of in stock items.